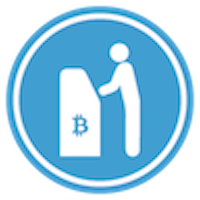 Pelicoin Bitcoin ATMs are the perfect solution for making cryptocurrency transactions in Louisiana. Our machines are safe, reliable, and easy to use with a variety of cryptocurrencies, including Bitcoin (BTC), Litecoin (LTC), and Ethereum (ETH). This Shreveport Bitcoin ATM is located at the Chevron gas station on East Bert Kouns Industrial Loop. With online bank accounts and online shopping transactions, most of us already interact with our money digitally. Cryptocurrencies work in similar ways, but with several pronounced advantages, such as increased privacy, security, and control around your transactions. In addition, Bitcoin and several other cryptocurrencies have risen so much in value that you can turn a profit simply by buying and selling cryptocurrency. However you choose to use your cryptocurrency, Pelicoin ATMs are here to help. Our machines are installed in friendly, convenient locations that are open late or 24 hours a day. If you're familiar with how to use a typical ATM, you'll find it very easy to operate our machines. We also offer our assistance through our customer support number, so make your way to your nearest Pelicoin Bitcoin ATM and start making secure cryptocurrency transactions today.